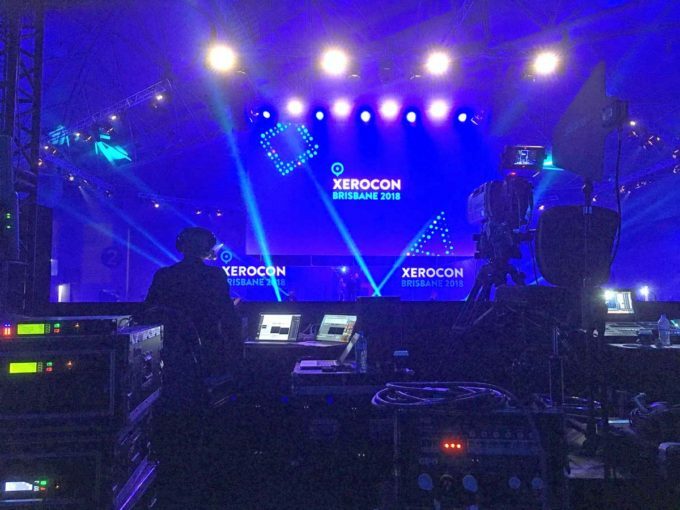 “Hailed ‘the Coachella for accountants’, Xerocon has achieved an almost cult-like following amongst the best in the business, so it was essential that Xerocon Brisbane 2018 delivered unrivalled heights of engagement and emotion,” said Laura Roberts, Managing Director of brand communications company INVNT and Xerocon’s event agency. 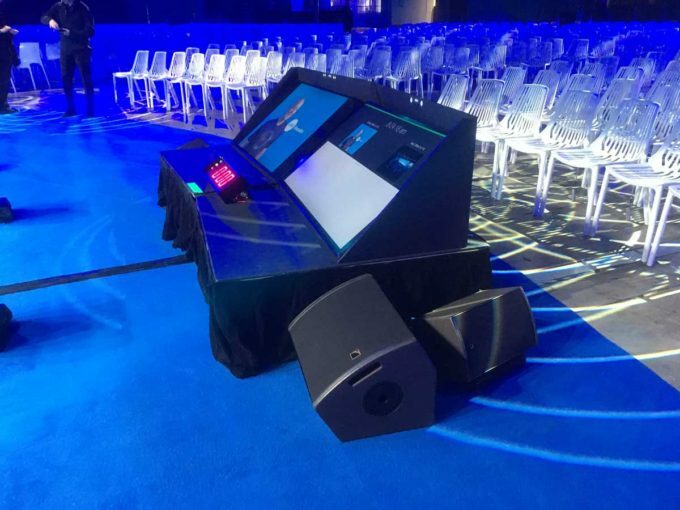 Held at the Brisbane Convention & Exhibition Centre, JPJ Audio were contracted by INVNT and technical directed by Matthew Russell, to supply an audio solution to match the event’s high production values. A solution was required that could cater to the opening act of a high energy DJ to clear crisp intelligible audio to enhance the meaningful and passionate stories told by keynote speakers. The show was held in the round plenary style and as with most corporate productions, it was imperative that the video screens could be viewed with no obstruction. Fortunately JPJ Audio are very experienced in working PA placement into a video setup and as usual, delivered a successful outcome. With four massive video screens forming a cube above the round stage, a neat and tidy PA system was required so as not to interfere with the visuals. Eight hangs of nine L-Acoustics dV-Dosc were deployed all in a left/right configuration at each corner. It was planned to add L-Acoustics dV-SUBs to the PA hangs but weight restrictions on the roof were severe and so the subs were placed under the stage. Control for the plenary system was on a compact yet powerful Digico SD11 operated by Gary Flemming. During the day the venue was broken into six theatres, one used the plenary control whilst the others all had their own small control system, three with Soundcraft Si compacts and two with Yamaha O1V96. These all fed The PA People who provided silent-disco PA systems. With audio, lighting and video all competing for weight allocations, this was no simple project but JPJ’s experience shone through. Tim Seconi, Will King, Matt Morrison, Daniel Charlton, Matt Debien.